Early Elementary Level. 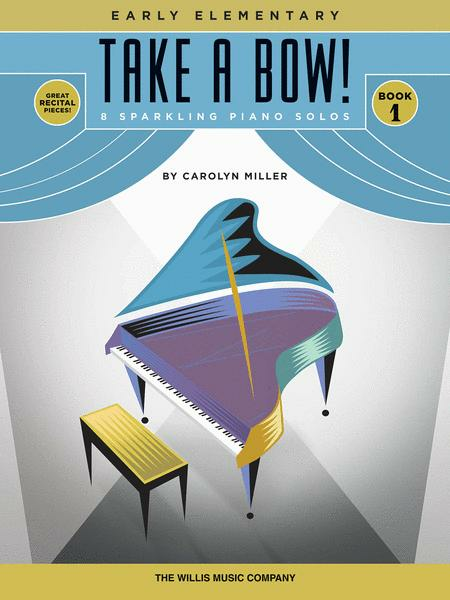 Composed by Carolyn Miller. Willis. Solos, Recital. Softcover. 24 pages. Published by Willis Music (HL.416888). ISBN 1617742643. 9x12 inches. Carolyn Miller Early Elementary Level. Eight exciting and brand new recital pieces composed especially for a first recital! Most pieces come with original lyrics, and all pieces include an optional teacher accompaniment. Titles: Barnyard Boogie • Big Ben • Clap Hands Dance • The Curious Kitten • Hoedown • The Merry-Go-Round • Sing a Happy Song • Tico Taco.